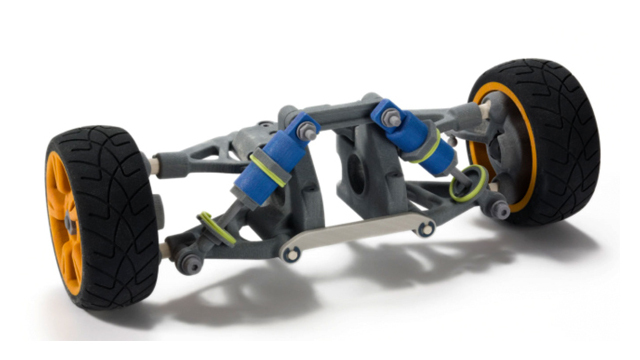 For over 20 years, 3D Systems has accelerated vehicle design with its professional and production additive manufacturing systems and services. Our 3D printers have enabled our design and engineering customers to produce functional and durable parts with efficiency-improving build complexities that are unachievable through traditional means, in addition to giving them bridge- and direct manufacturing capabilities. Whether the need is to improve fuel economy, optimize part count to weight ratios, or eliminate tooling costs, our ability to put automotive and transportation specialists on the fast track to success revs both our engine and theirs.